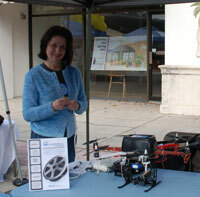 This year we participated in South East Volusia Chamber of Commerce Business Expo. It was the first time we have been involved in a local New Smyrna Beach Event. We had a good time and met a lot of people. Since we were there to promote the launch of a few new Grimmster Internet Marketing Services, we thought we would do a small video of the event. It was a fun and productive day all around, the weather was perfect, and a ton of people came to check out South East Volusia Businesses.